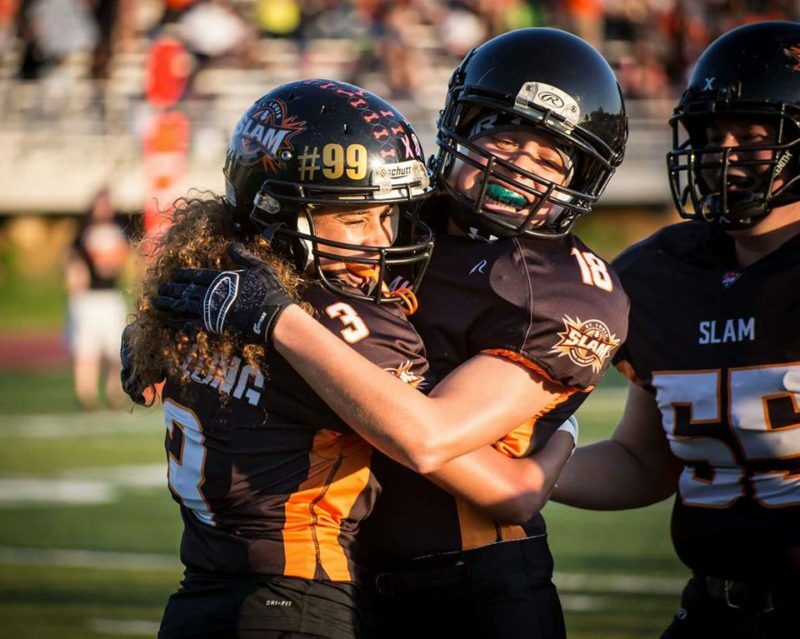 If the St. Louis SLAM women’s tackle football franchise wishes to finish their regular season undefeated, they literally have to put forth their best performance on the field this weekend…and perform it at the opposition’s lair. 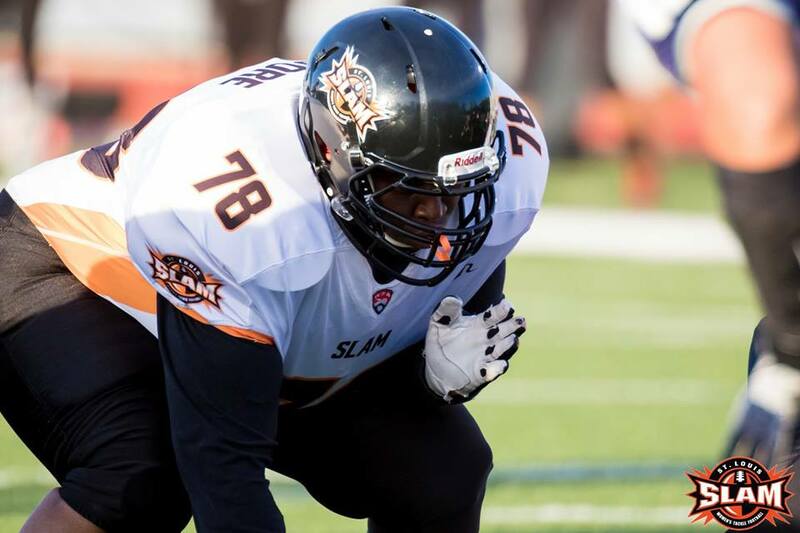 The 7-0 SLAM, the current defending Tier II National Champions of the Women’s Football Alliance (WFA), challenges the Chicago Force (6-1) at 6 p.m. Saturday at Evanston Township High School. On paper, St. Louis heads into the weekend as the underdog against the WFA Tier I powerhouse from the Windy City. Chicago, currently ranked second overall nationally, fell to top-ranked Boston, 25-24, two weekends ago in a game that saw the Force misfire on the game’s final drive so one could assume that the Illinoisans are feeling surly heading into their home finale against the SLAM. 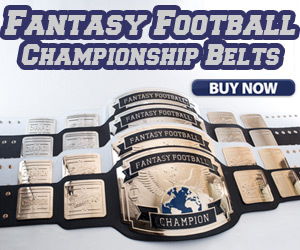 No pressure for the Gateway City gridiron gang, right? On the surface, the task seems difficult but optimism does exist heading into battle. 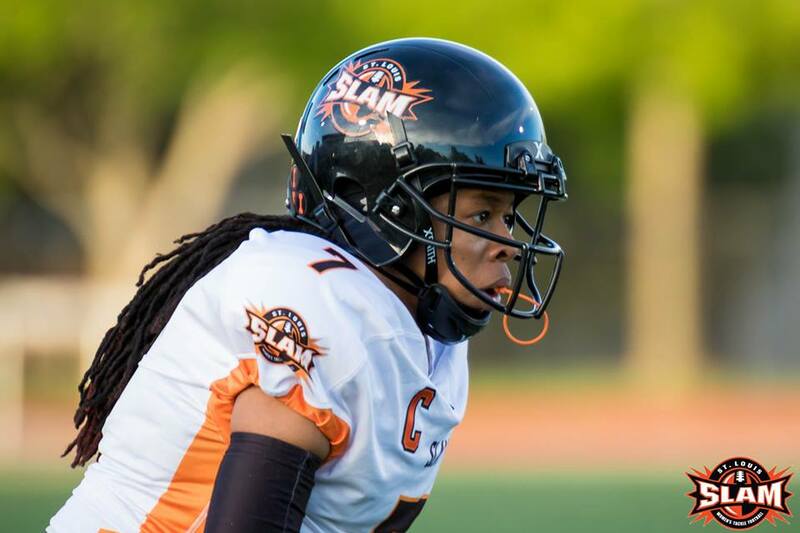 For starters, the SLAM collected a 35-21 road victory over the Minnesota Vixen this past Saturday, which marked the third time this season that St. Louis toppled a Tier I foe. In the contest, St. Louis sprinted out to a 21-0 lead en route to keeping its record spotless and notching their thirteenth consecutive WFA triumph overall. Offensively, the SLAM has displayed the depth of a seasoned franchise that contains so many weapons. To wit, twelve different players have scored touchdowns as St. Louis has outscored their opponents in six games played, 245-49. Sophomore quarterback Jaime Gaal is once again having a solid season with a dozen six-point passes while connecting with prime targets Danielle Price, Kaylee Neutzling, Keyonna Smith, Chelsea Clay and Kim Kinsella. Gaal and running backs Taylor Hay and Mary Altepeter are assisted by the SLAM startling line of Marion Ball, Caitlin Erickson, Antonnia Washington, Tammie Moore and Juan Snow. Meanwhile, the St. Louis defense has been on target. The 21 points surrendered to Minnesota last Saturday, who had a 50-points per game average heading in the contest, marked the first time this season that the starting unit allowed double-digit scoring. Alongside Nuetzling and Smith, returnees Raven Williams, Tiffany Pugh, Jelani Kelly, Vicki Nichols, Pamela Green, Brooklyn Bastain, Robyn Morrow, Myrt Davis and Annie Grier have perpetually clamped down on the opposition in every turf tussle. The one area of concern for the SLAM is second-half penalties that were accumulated during their two previous games against WFA Tier I opponents. After relatively clean play in the opening quarters in both the contest against Minnesota and their game versus Indy Crash the weekend prior (one first-half penalty in each game), the squad saw too many yellow flags in the back half for infractions ranging from false starts to holding to personal fouls. For St. Louis this Saturday, the play has to be completely clean for there’s no room for mistakes against their imposing opponent. Prior to their one-point setback to Boston two Saturdays ago, Chicago claimed six straight wins. Out of their half-dozen WFA dukes, a pair was forfeits but when they competed on the turf, the Force outscored their opponents, 217-21, which included a 53-0 shellacking of the aforementioned Minnesota Vixen in early-May. In the process, quarterback Samantha Grisafe has netted close to 1,400 yards in the air for 19 touchdowns while receivers Tamika Robinson and Emma Vanderheyden each have five scoring receptions. On the ground, running back Kristy Moran has nine end zone romps. Defensively, the Force is propelled by leading tacklers Kelsey Casey, Mary Choules, Emily Belanger and Sonja Drangsholt. An aspect that could affect play would be Mother Nature herself. Saturday night’s forecast in Chicago is projected to contain rain showers which could make play at Evanston sloppy, resulting in both team’s stubborn defenses being prime focal points. 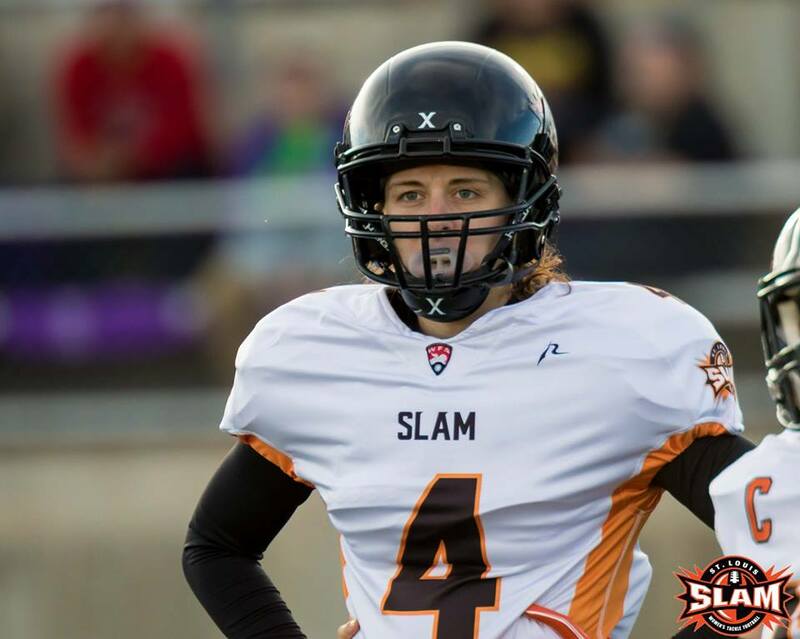 Saturday’s end result should not affect the SLAM’s upcoming post-season for they have already secured placement in the WFA Tier II playoffs. The goal for the SLAM this weekend is to play higher-ranked Chicago close and ultimately send the other Tier II teams an early message that they are primed for back-to-back national championships. 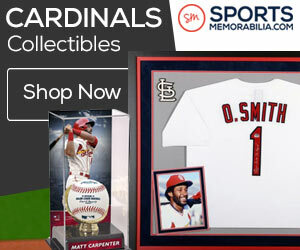 But wouldn’t it be the bee’s knees, or even better, the SLAM’s wham, if St. Louis collects the “W” on Saturday? 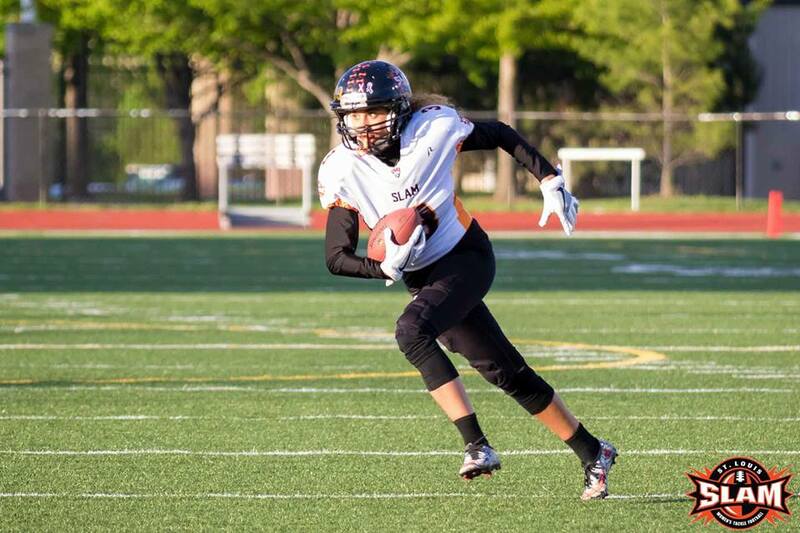 The official Twitter of the Chicago Force will have running play-by-play of the game. CLICK HERE FOR GAME COVERAGE THAT STARTS AT 6 PM.